With the 4th of July in our rear view mirrors, the dog days of summer are here! We are using the rest of summer to bask in the Colorado sunshine and trying to appreciate the heat before the seasons inevitably change. We have a few recipes that are helping us appreciate the heat (deal with the heat) and hope you’ll check them out! 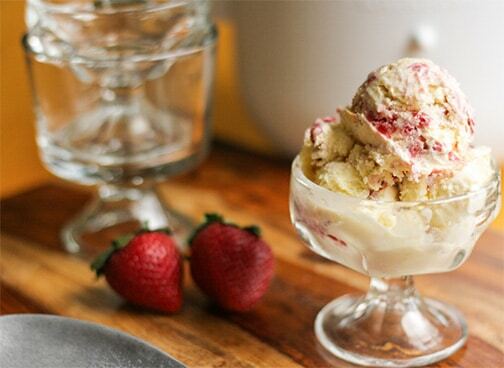 From vegan ice creams to a couple of bonus recipes, we have something for everyone here! 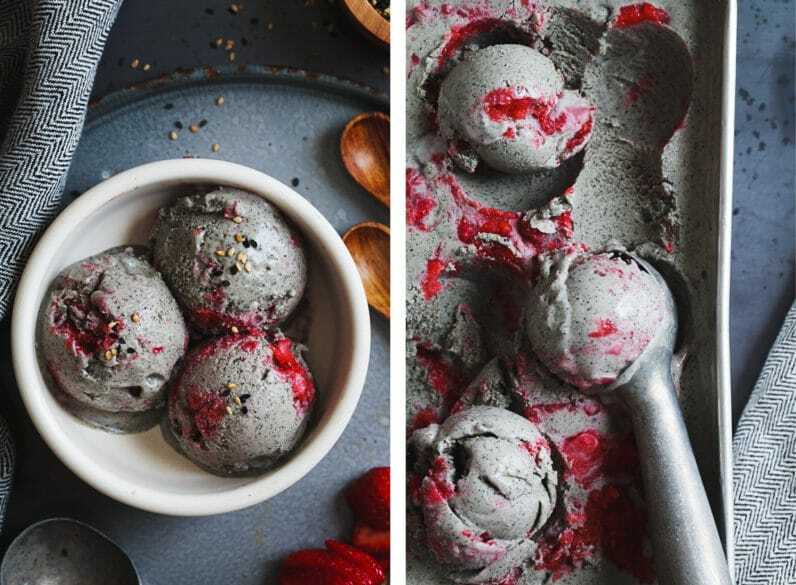 This beauty of an ice cream pairs black sesame and strawberries. The unlikely pairing is perfectly coupled with the vegan coconut ice cream base. Our friend Sarah at Snixy Kitchen made this recipe no-churn, so it doesn’t require any special equipment to make at home! This decadent ice cream recipe takes 1 hour to prepare, then freezes over night and voila, you have a recipe that’s perfect for this festive time of year! Everyone will be screaming for seconds of this tasty treat! 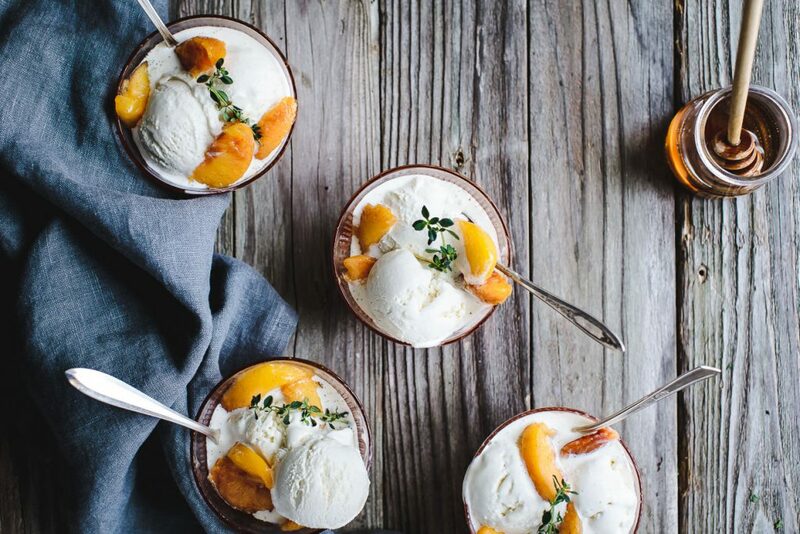 Fresh whole milk ricotta blended into a rich and creamy egg-free ice cream – served up with vanilla peaches. We love this as a use for all of the bruised peaches you might have picked up for a deal at the Farmer’s Market! Make Honey & Lemon Thyme Ricotta Ice Cream! 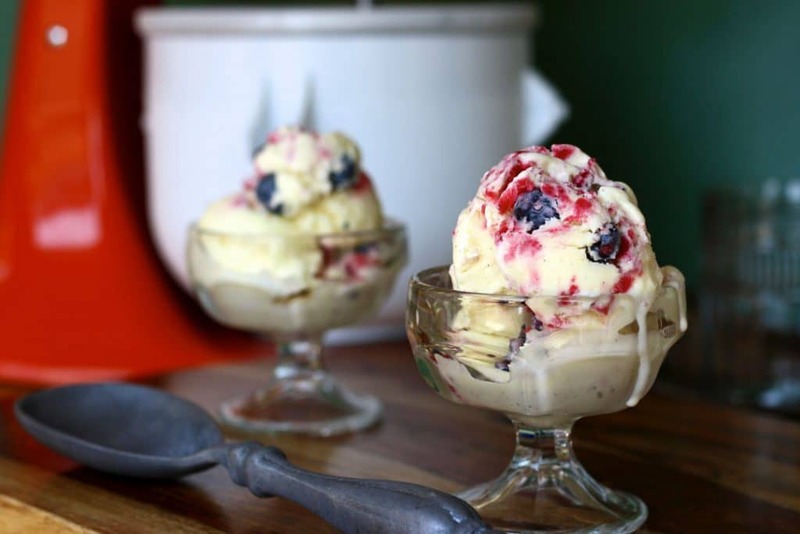 The white chocolate chips dancing in this ice cream are the perfect complement to fresh blueberries and raspberries pureed and swirled throughout! This is the perfect way to eat vanilla bean ice cream- between two homemade chocolatey cookies! Our Vanilla bean ice cream sandwich is the something the whole family will love…and, for a new twist, try the ice cream sandwiched between Homemade Chocolate Graham Crackers! 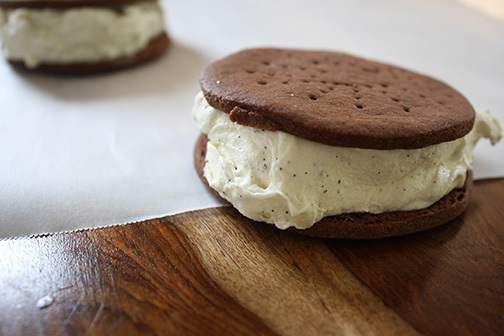 Make Vanilla Bean Ice Cream Sandwiches! Bonus recipe! Our friend Traci at Vanilla and Bean stunned us with her Ice Cream Parfaits and we had to share them! She describes the recipe: “All the deliciousness of pie, deconstructed in an ice cream parfait – super simple to prep ahead and assemble later. 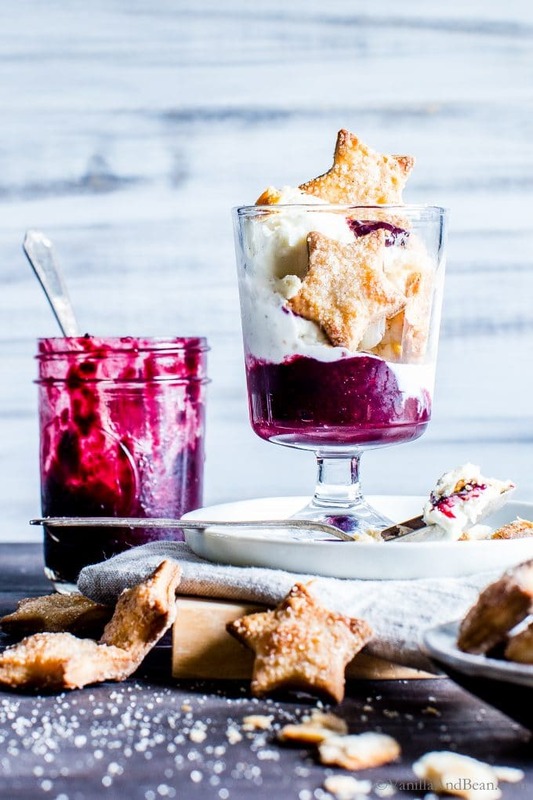 Blueberry-Rhubarb Pie Ice Cream Parfaits are fun for summer holidays and anytime ice cream is called for with vegan options included!” … we can’t help ourselves around them! Get the recipe!